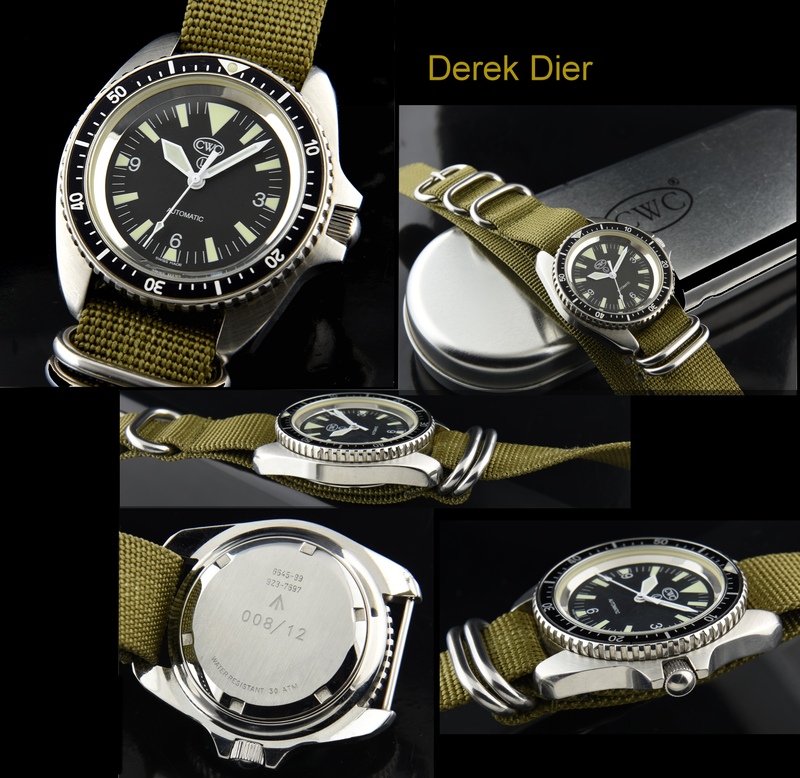 This circa 2016 genuine Cabot Watch Company RN Divers GENTLY USED automatic divers’ watch has been made to exacting MOD specs. This non-date version was issued for approximately 1 year and which replaced the Rolex submariner auto in the early 80s. 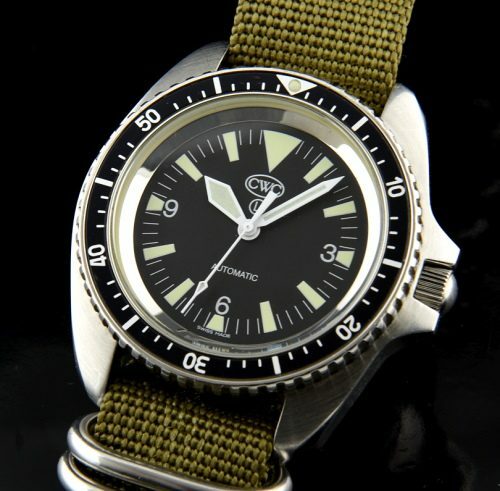 It was then superseded by the Cabot Watch Company RN quartz divers’ watch, which is still current issue to RN Divers. This watch measures 42mm. in stainless steel and has a screw down crown with crown guard. These dials are easy to read and beautifully balanced. The ETA 2824-2 automatic winding movement is accurately keeping time.